Pressed on limited edition grey vinyl. Never Say Die! 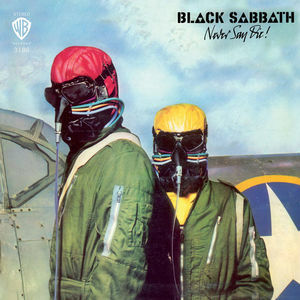 is the eighth studio album by English rock band Black Sabbath, released in September 1978. It was the final Black Sabbath studio album until 2013's 13 to feature vocalist Ozzy Osbourne prior to his departure from the band in 1979, and the last full studio album to feature the band's original lineup.